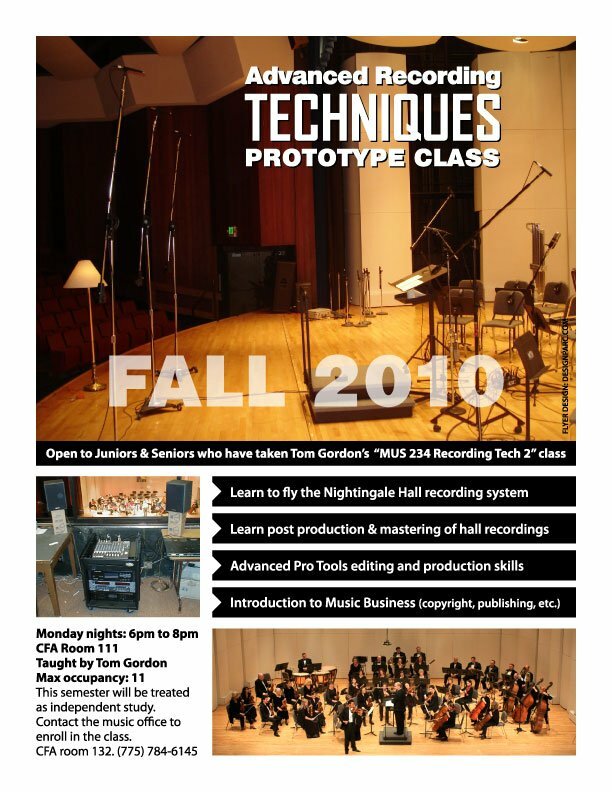 Flyer design for Tom Gordon, who is teaching the “Advanced Recording Techniques” class at University of Nevada, Reno, Fall 2010. Start saving on printing services today. Visit our website to learn more about catalog printing today.